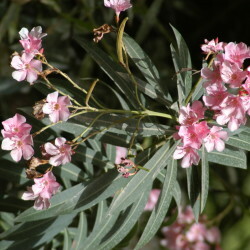 The Oleander shrub originated in the Balkans, Caucasus and Middle East with their Mediterranean climates. 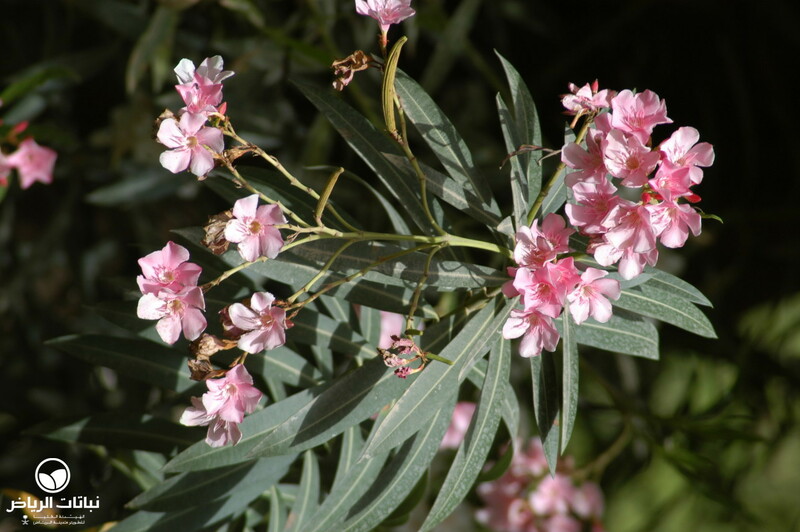 The Arabic name for Oleander is diflah. 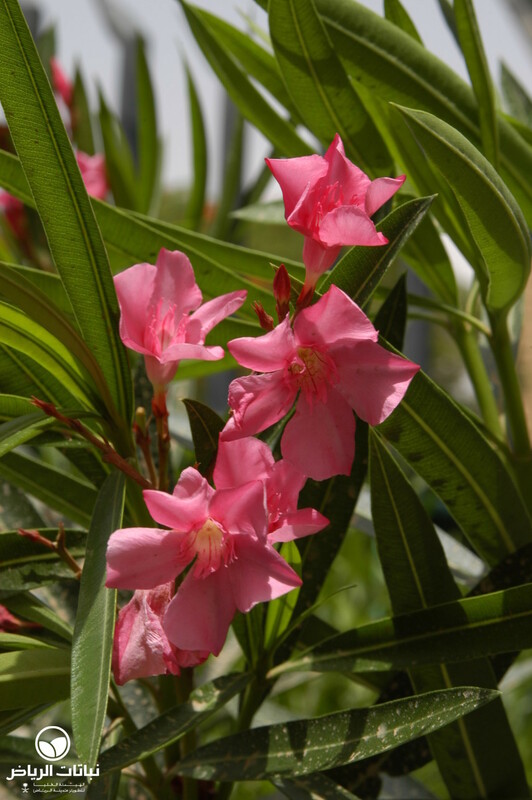 Oleander is an evergreen shrub growing between 2 and 3 metres high. 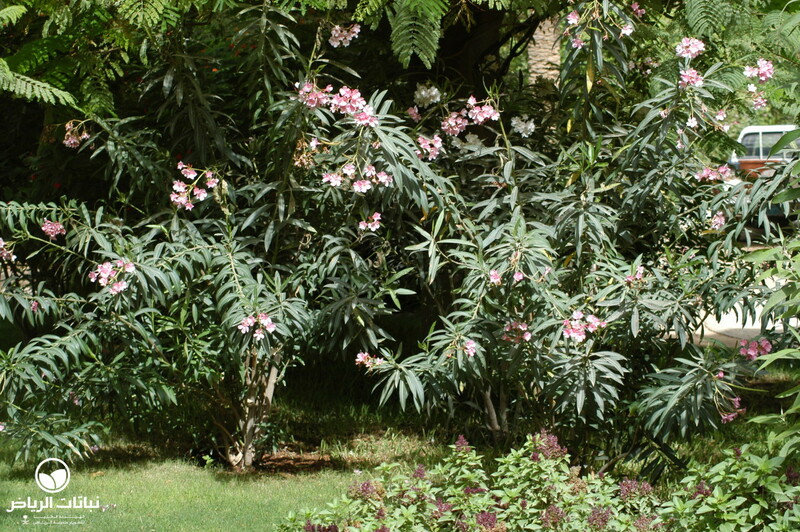 The shape of the shrub is mostly round or oval, and multi-branched. 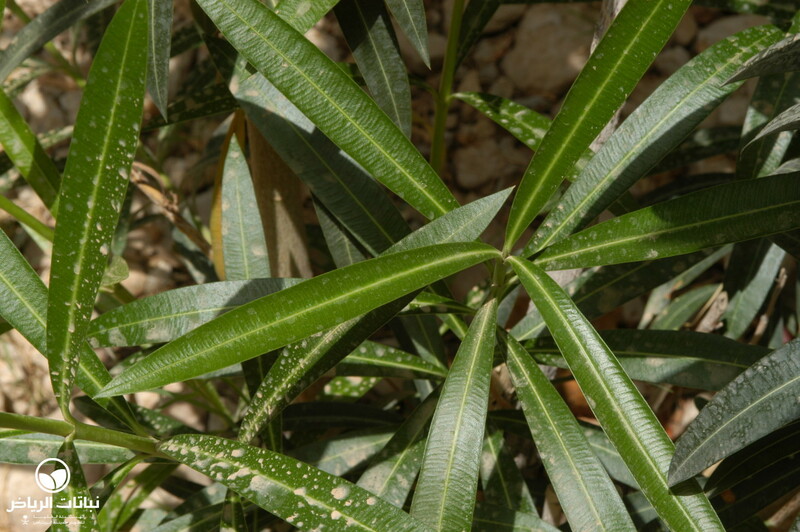 The leaves lanceolate in shape. The flowers are grouped in an umbelliferous raceme, appearing in summer and quite enchanting. 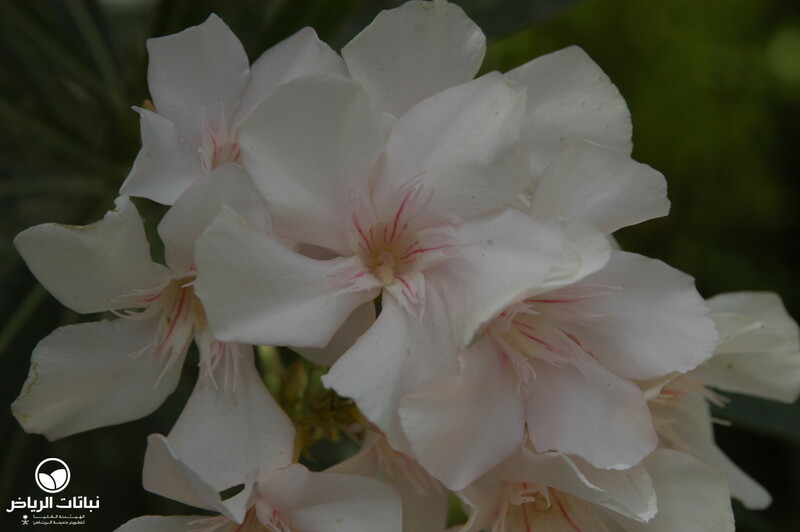 The variety ‘Album’ is distinguished by a brilliant white, ‘Pink Beauty’ in a fresh pink as the name implies, and ‘Sealy Pink’ flowers with a bright pink. 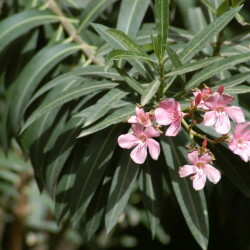 After flowering, elongated star-shaped fruits appear. 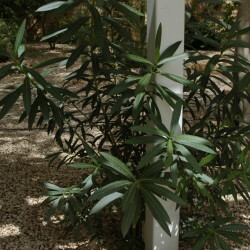 The root system is extensive. 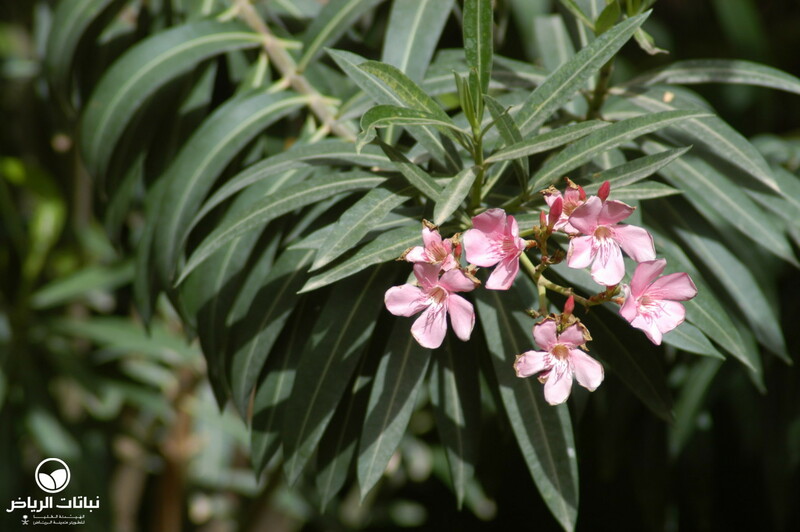 Maintenance of the Oleander is minimal and pruning can be done frequently to the base so it is able to rejuvenate from the ground up. 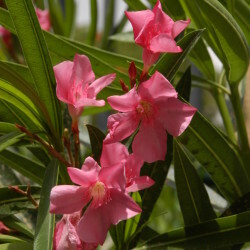 All parts of Oleander are completely poisonous. 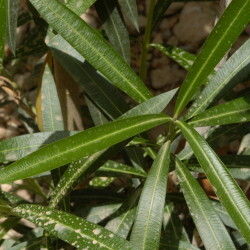 Propagation can be done by sowing and pricking and by cuttings. 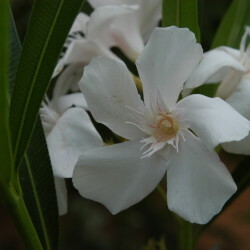 The Oleander prefers a full sunny location and is moderately frost resistant. 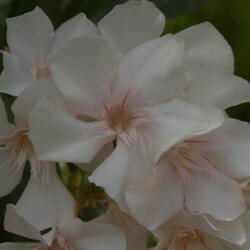 Irrigation should be moderate, because it likes moist soil. It can withstand a high salinity level. 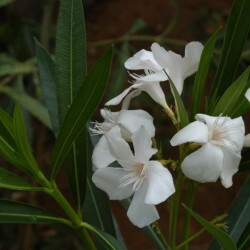 The shrub is heat-resistant and can withstand short-term desiccation. 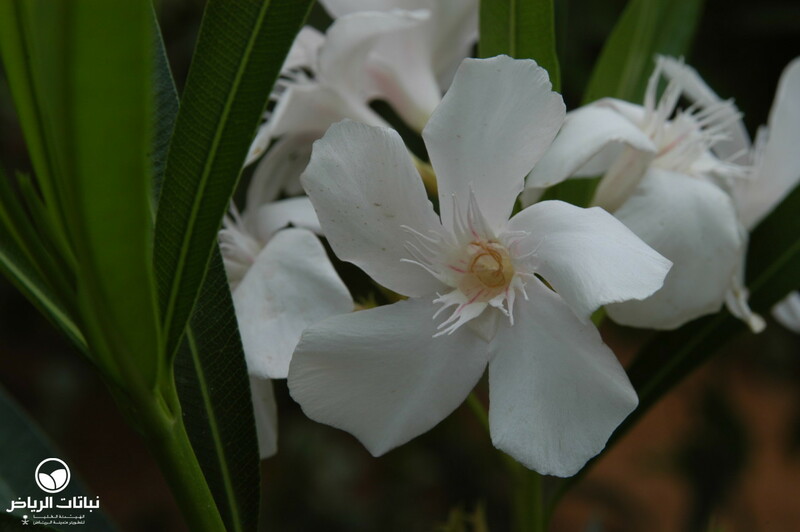 The shrub can be used as specimen, dominant plant, grouped or massed planting, and as a flowering hedge. 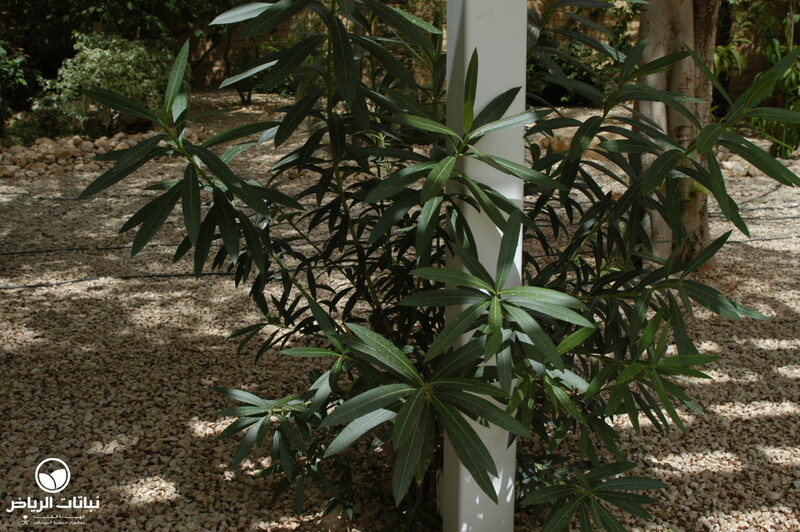 Owing to the strong root system, it is suitable as a bank stabiliser and for environmental consolidation. 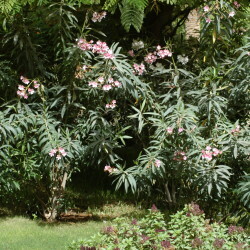 In landscape design, it will produce good effects as shelter or screen plant. 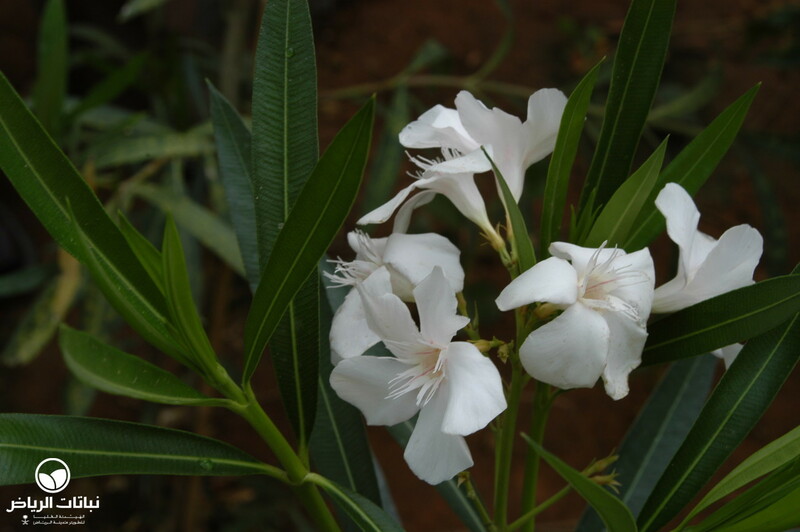 Park planting, public open spaces, urban areas and container planting are all possible with this attractive shrub.